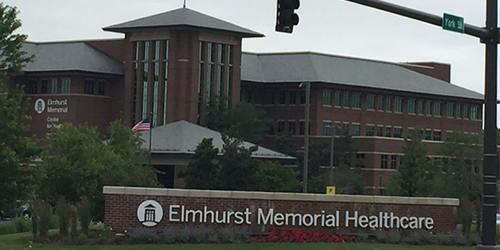 Endocrinology - Elmhurst, IL | Diabetes, Osteoporosis, Obesity, Inc.
Our Elmhurst endocrinology office is located inside the newly remodeled Elmhurst Memorial Center for Health Building on York Rd, just North of Roosevelt Rd, near Rt. 83 and major highways 290, 294, and 355, in Elmhurst, IL. Our office is conveniently located to serve patients in the surrounding communities of Elmhurst, IL, including Oak Brook Terrace, Oak Brook, Downers Grove, Westchester, Villa Park, and the Melrose Park communities. When visiting our Elmhurst Endocrinology office park in the Yellow parking lot on the East side of the building, enter through the main entrance, and take the main elevators to the 3rd floor. Our office is located in suite 3150. Our licensed endocrinologists, Dr. Abboud and Dr. Washington, both see patients at our Elmhurst Illinois office. Call for availability and to schedule an appointment, or use our request an appointment form and we’ll contact you to get your appointment scheduled.